** Cooking time with vary depending on how hot your stove top is. Use own discretion. 1.) 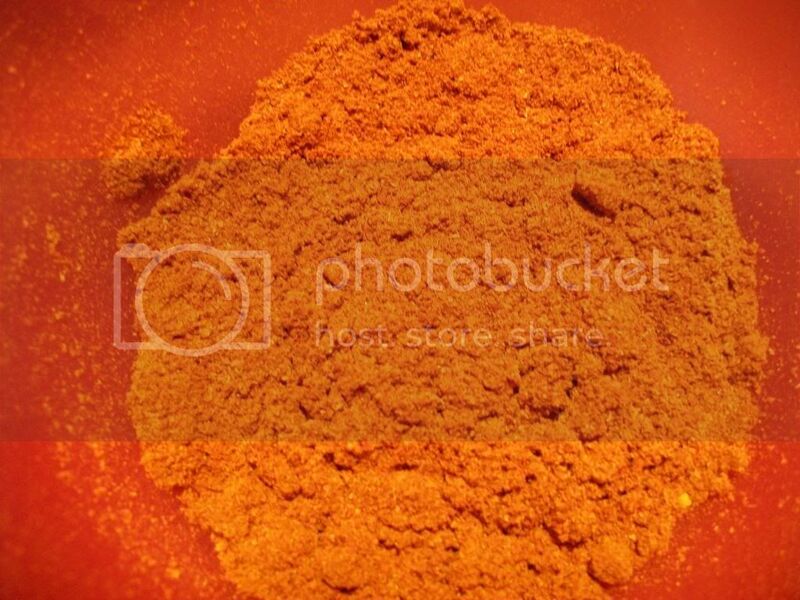 Gather all of your spices. 2.) 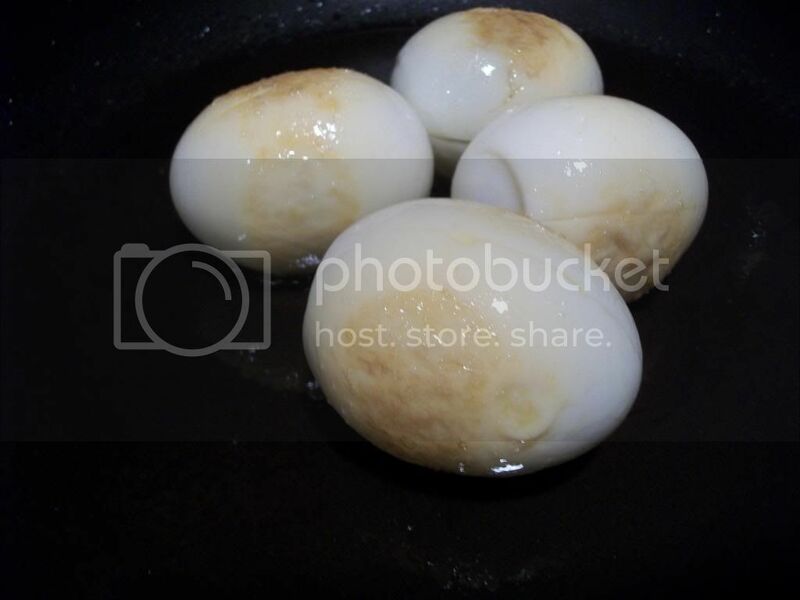 Boil eggs in pot for 15-20 minutes on medium to high temperature, or until completely "hard boiled"
3.) While eggs are cooling in fridge, prep your vegetables. 4.) Now that vegetables are done being prepped, take the eggs out of the fridge. - Peels the eggs from the shells, rinse off eggs. 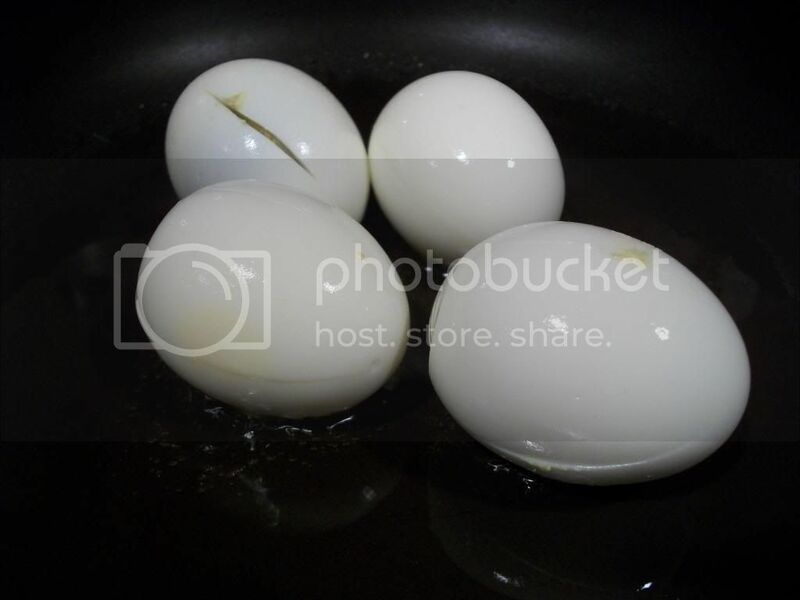 - Put 3 slits in the eggs starting from top to bottom and getting to the yolk. ** The slits allow for flavour to get into the egg - just be careful not to slit to deep otherwise the egg will fall apart. 5.) Heat oil in frying pan/pot on med-high heat. 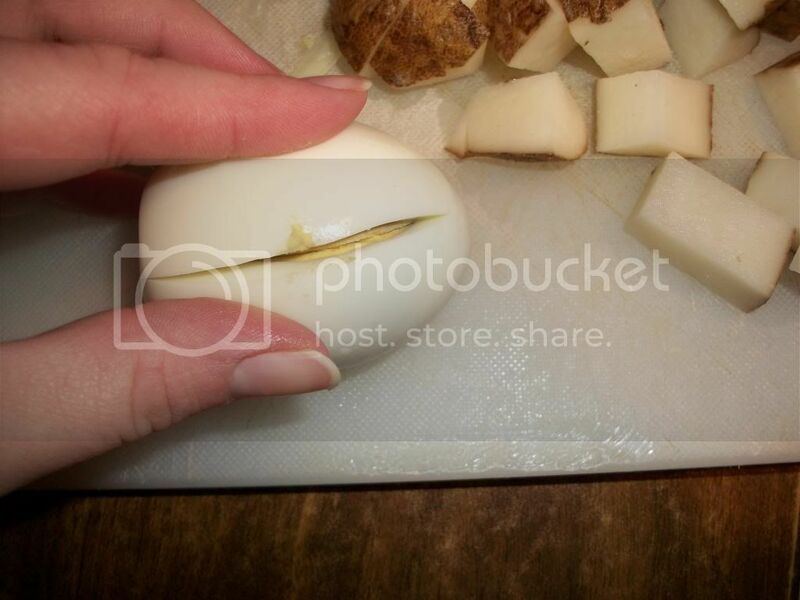 To test to see if the pan is right temperature, throw a piece of onion in. If it starts to make the "fry sound" and you can see it bubbling around it, it's ready. But be careful, you don't want oil splatter - it hurts! - When pan is ready, put eggs in and fry until golden brown. 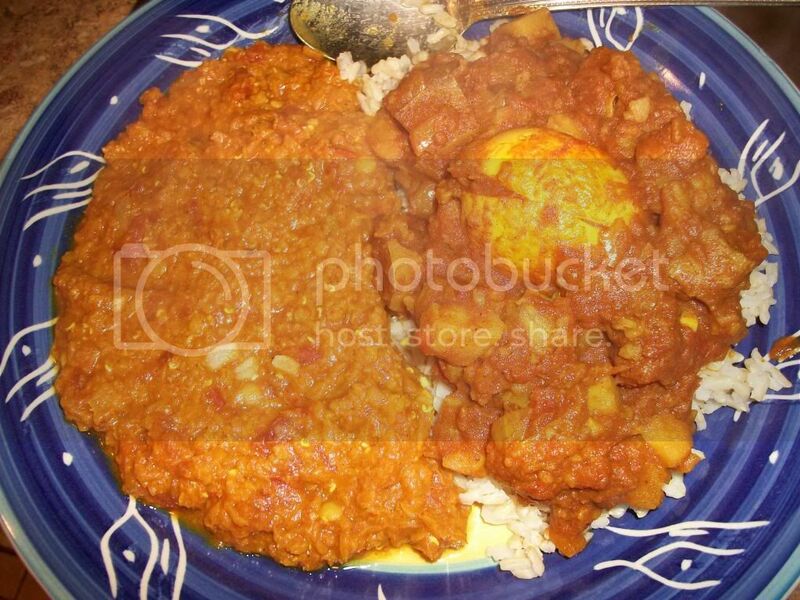 - Take eggs out and put in in bowl. 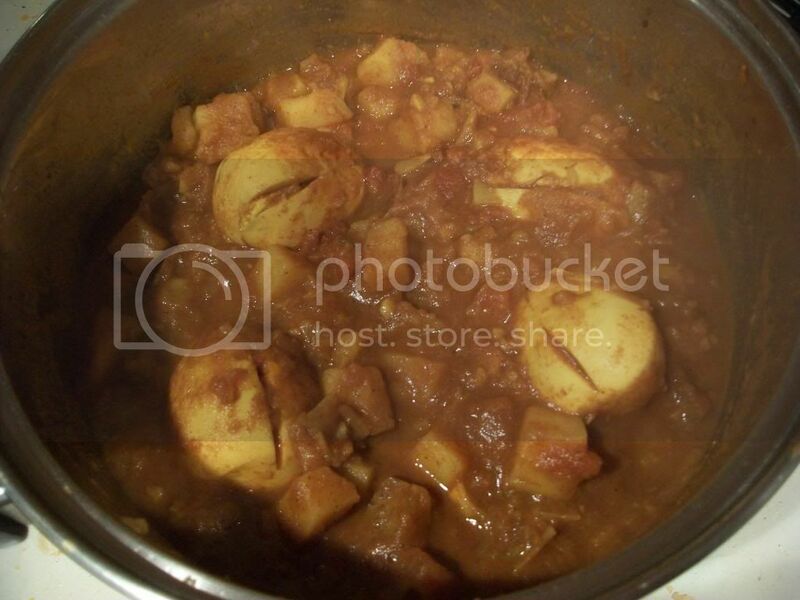 - Add potato and like vegetables (carrot, yam, turnip, rutabaga) and stir. - Let sauce simmer on low-med heat for about 45 minutes or until potatoes and similar vegetables are nearly done. - Toss in eggs finally and simmer for another 15 minutes or until rest of vegetables are cooked through. Serve as a main with a side of Red Lentil Dal, Naan, Roti, or over a bed of rice! ENJOY!